Reel Evil comes to us from Full Moon (Subspecies, Puppet Master, Trancers) and is their answer to the found footage horror genre. The trailer looks loaded with scary encounters hanging at every turn. The poster looks in-your-face scary. Full Moon may have a real hit on their hands here with Reel Evil. 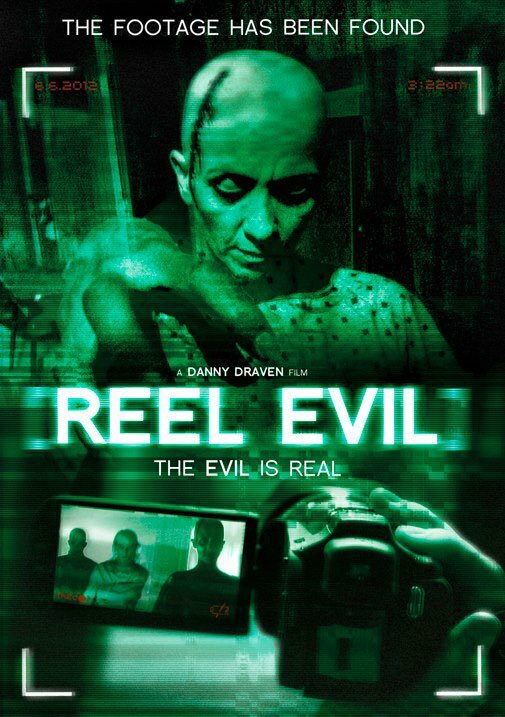 Reel Evil will be available on DVD and VOD this December 4, 2012. This horror film is directed by Danny Draven and stars Jessica Morris, Jeffrey Adler, Kaiwi Lyman-Mersereau, Jim Tavare, Galen Howard, Lino Dumont and Spencer John Olson. Synopsis: Struggling filmmakers - Kennedy, Cory and James - finally catch the break they were looking for when they are hired to shoot a "behind-the-scenes" documentary for a major studio production. But their dream job quickly turns into a nightmare when they explore the legendary, haunted location and find something far worse than anything Hollywood could create. Terror becomes reality for the filmmakers as they uncover the malevolent secrets of the hospital, and the sinister doctor who once ran it. Trapped inside the hospital with no apparent way out, our crew is tormented by the evil, unspeakable fear. Official Synopsis: Struggling filmmakers - Kennedy, Cory and James - finally catch the break they were looking for when they are hired to shoot a 'behind-the-scenes' documentary for a major studio production. But their dream job quickly turns into a nightmare when they explore the legendary, haunted location and find something far worse than anything Hollywood could create. Terror becomes reality for the filmmakers as they uncover the malevolent secrets of the hospital, and the sinister doctor who once ran it. 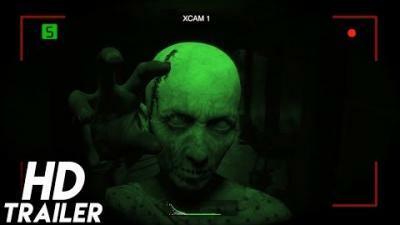 Trapped inside the hospital with no apparent way out, our crew is tormented by the evil, unspeakable fear.